The time of faceless identical buildings has passed. A man need Eco-friendly architecture being a source of daily spiritual joy. The society has come to the conclusion that people should not conquer the nature, but live with it in full harmony and mutual understanding. An Eco house is built using “green” technologies, as well as environmentally friendly materials that do not harm the nature. A project considers cardinal points, a wind rose, landscape, human-friendly zoning of internal premises and overall geometry of building construction. An original step towards the reproduction of natural balance – roof gardening – is not only a good view of the roof, but also a sky-high part of the terrestrial ecosystem. 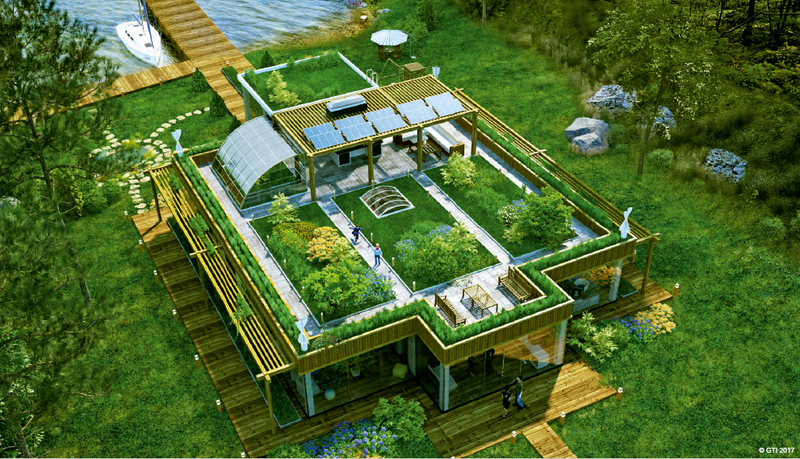 The development of “green” technologies gives the opportunity to create beautiful, multi-functional, environmentally friendly and admirable Eco houses.